Meanwhile it was the second day of our Italy adventure and we were heading to our fourth location. 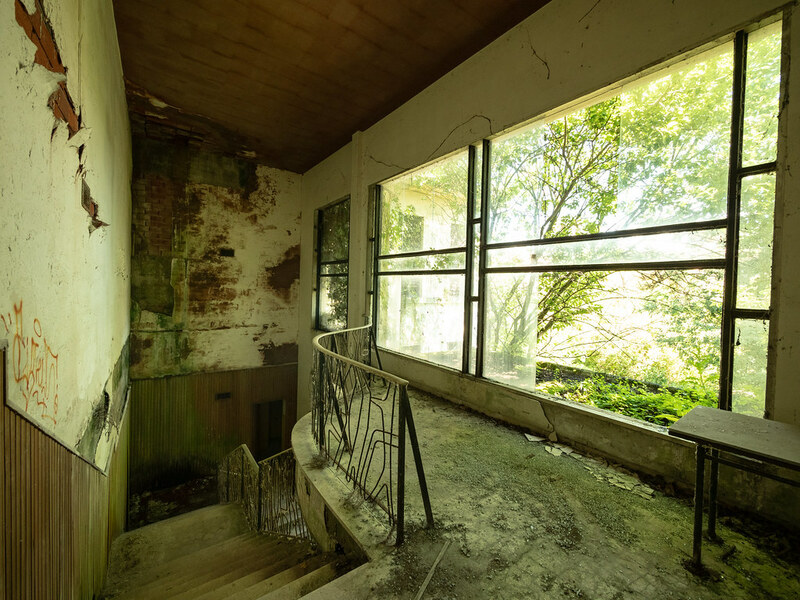 The Italian photographer Tobi_urbex was showing us the way to a very remarkable place. 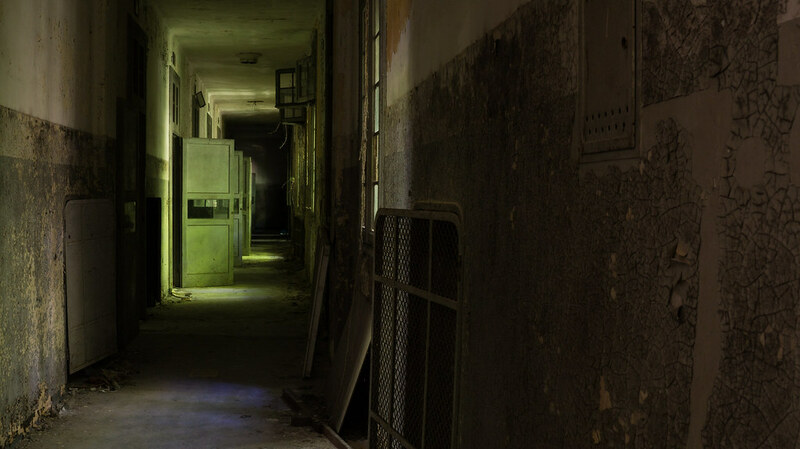 This time we had a special mission: We wanted to explore an abandoned mental asylum which is still partly in use. Along for the ride were Michael and Bryan from The Proper People who invited us to join them for a bit on their journey through Europe. After several years of vacancy, this area became an impenetrable jungle. But the thicket is a perfect visual cover, so we could move unseen on the property. Everywhere we could spot old houses but we didn't know which ones are really abandoned and which ones are still in use. The over 12-hectare big compound consists of 20 buildings in total. And most of them are arranged symmetrically. By now all of them have become overgrown and in a lot of the houses are still furnishings left behind. A haunting atmosphere unfolds in these rooms. Apparently, this building used to be the cafeteria. The roofed-over inner yard was probably where patients and employees used to eat back then. Today it’s totally overgrown and it became impossible to move here. But the highlight of this house is the small chapel in our opinion. You can see it down below. Already in the 19th century one of the few mental institutions of the region was located in this town. In the 1930s a new and more modern hospital complex was built. It’s the one we were exploring . 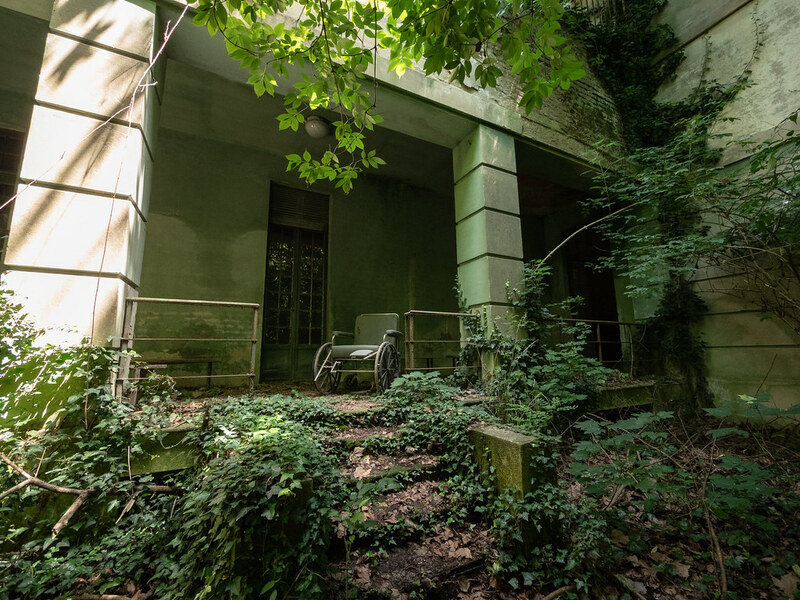 In the past this facility was ranked as one of the biggest psychiatries in all of Italy. 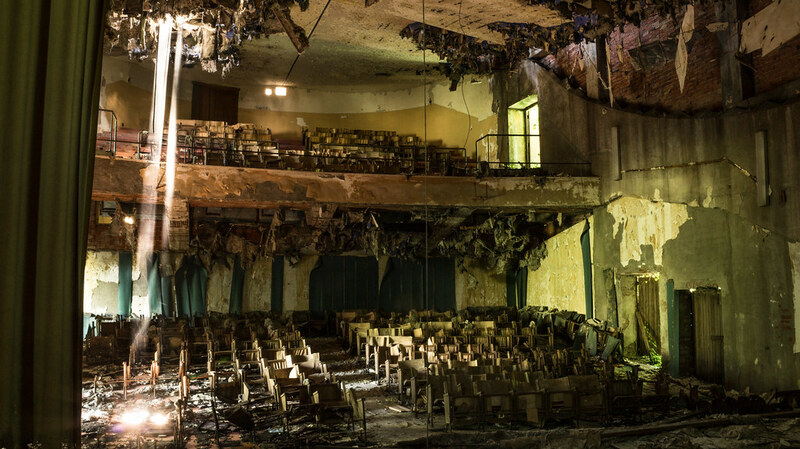 It’s alarming to see what was left behind here. We found miles of paper! Not in one single room but even in multiple buildings. Next to finance stuff there are especially medical records full of personal information we shouldn’t reveal at all. But even cases of death are listed there. At the end of World War Two the psychiatric hospital became the scene of a cruel massacre. A group of communist partisans carried off around 70 fascists soldiers from a prison camp nearby and brought them to the compound of the asylum. The staff was forced to leave the property and the resistance fighters stated to beat and torture their prisoners. Some of them were even bound with wire and ran over by trucks on the court repeatedly. Still today – more than 70 years later – people are commemorating the victims of this terrible massacre. By now we have seen several of those buildings from the inside. Apparently, only one of the 20 buildings is still in use today. But we realized that one single day wasn’t enough to explore the whole compound. Especially when we were planning to visit two more abandoned sites that day. So, that’s why we were now limiting ourselves to the highlights of this psychiatry. 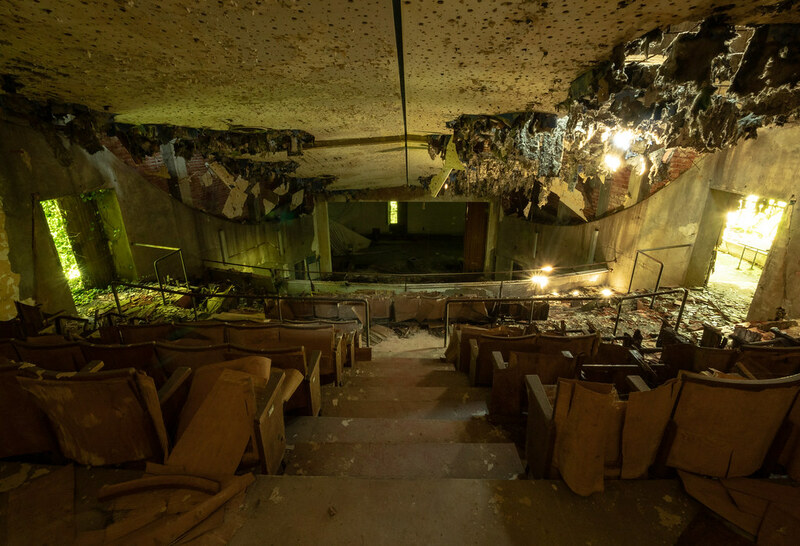 This auditorium is the reason why many urban explorers come here in the first place. 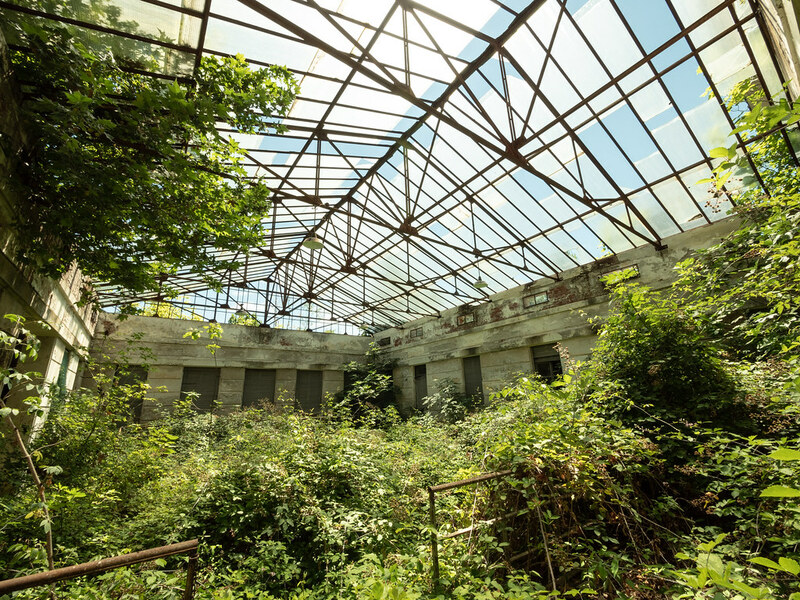 The partly collapsed roof is hurrying along the ongoing decay which makes this place the perfect scenery for photo and video shoots. To our big surprise there was even the historical projector left behind in the building. Last but not least we were going to look at the church. This building is right in the middle of the hospital complex and all the other houses were arranged around it. The architecture of the church looks rather modern. 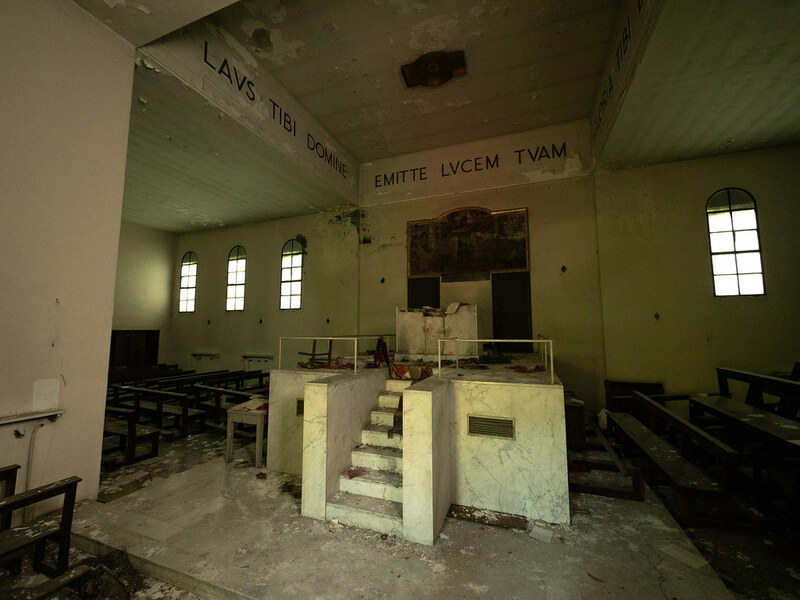 But unfortunately, the place was already exposed to a lot of vandalism. Great stuff as always BWT, thanks. I absolutely love this place and your pics are superb. I’d love to visit one day. Great work! One of my favourites. Loved this place, nice pics too. 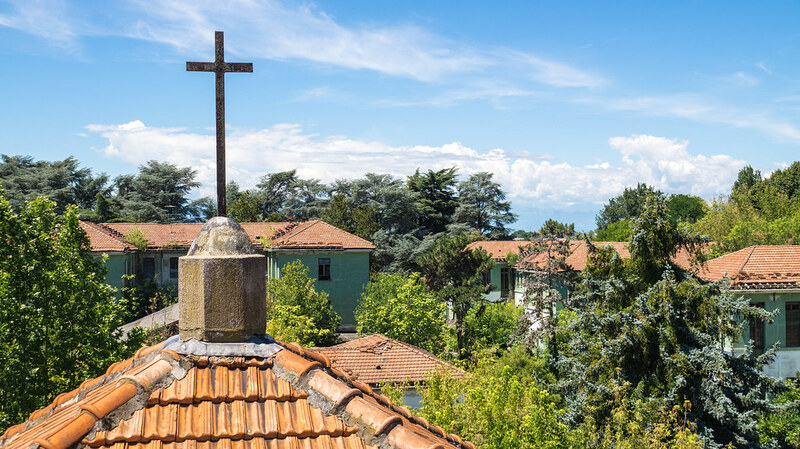 Another awesome report and Italy just keeps on giving! Great pictures as usual mate, the rooftop shot in particular. Almost has a sense of colonial Caribbean to it. The outdated cell blocks were a bit sinister with their steel restraint beds bolted to the middle of the room. That left some food for thought. Lovely stuff there! Thanks for posting them up, loved it!